If you want your lawn to look and be healthy, you need to ensure that it has surefire protection against weed, insects and diseases. Weeds: These include crabgrass and clovers that often come up in your lawn out of nowhere. Not only these wools are unsightly, but also a threat to the health of your soil and expensive grass. Insects: Insects are also a major problem for lawn owners. There are different types of insects, originating at every season change. They adversely damage the grass and plants. 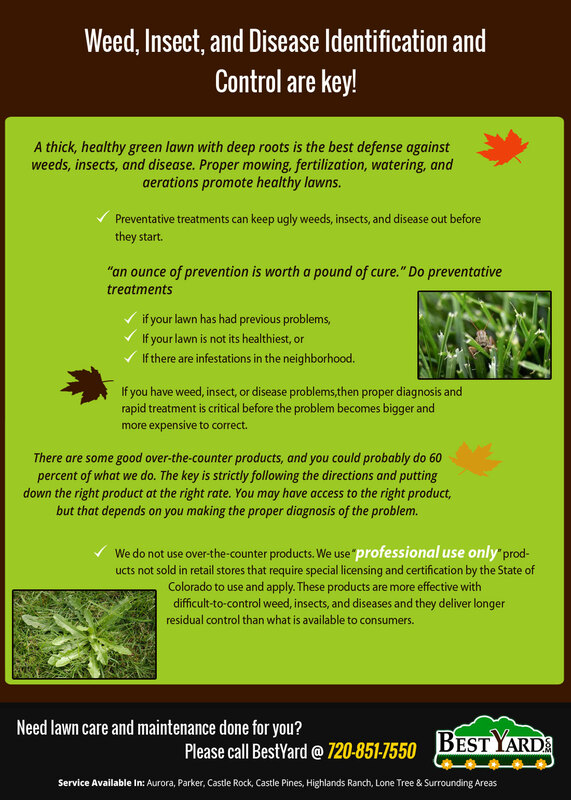 Diseases: Many diseases are transported by insects, and others are a reason of season change and inadequate lawn care. To maintain your green lawn, and prevent it from weed, insects, and diseases, it is paramount to call in an expert lawn service. They will diagnose and provide a befitting solution for your lawn. You could also ask them some DIY lawn care tips, which you can do on your own to prevent your lawn from these puerilities.